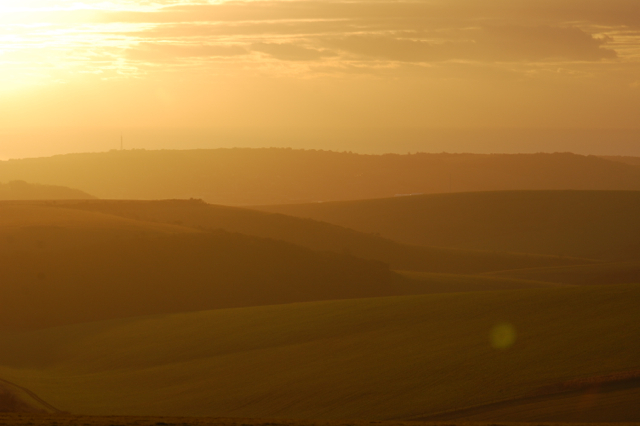 I have lived the majority of my adult life in East Sussex and over the years have come to love the South Downs with their soft rolling beauty, their expansive views over fields and sea and their wide variety of wild flowers and grasses. As today is Earth Day I thought it would be a fitting time to pay tribute to a part of the Earth that I feel so connected to. 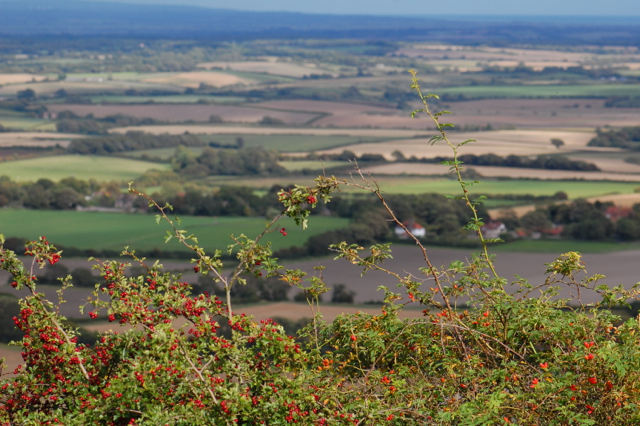 Our house nestles beneath the chalk hills of the South Downs on the clay of the Low Weald, with views stretching out to the sandy soils and remaining pockets of ancient woodland of the High Weald to the north. 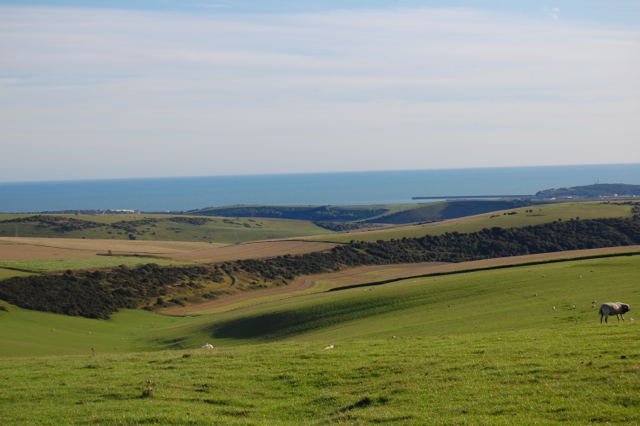 The variety of different soils and environmental conditions in this part of the world make for a fascinating array of plant and wildlife, all within a relatively small area, including heath, woodland, wetland, farmland, the coastal regions as well as the chalk downland itself. 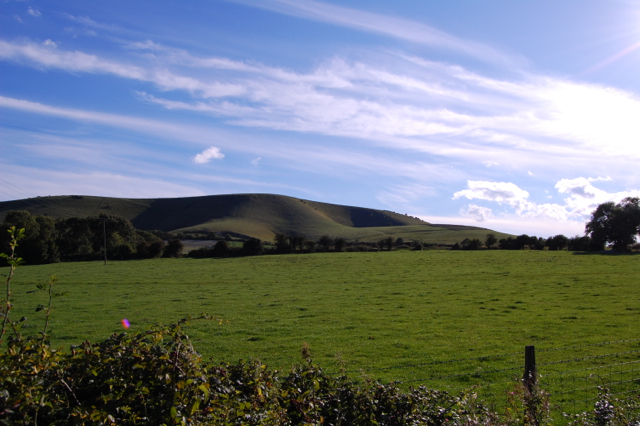 The North and South Downs, with the Weald between them, lie across a good part of southern England, running east to west, forming a series of hills, ridges and valleys. Interestingly they were formed from one large upfold of the Earth’s surface which has eroded away at different rates due to the different rocks contained within it. This diagram (borrowed from the ever helpful Wikipedia) shows how the Downs have eroded away to form the furrowed landscape we know and love today. 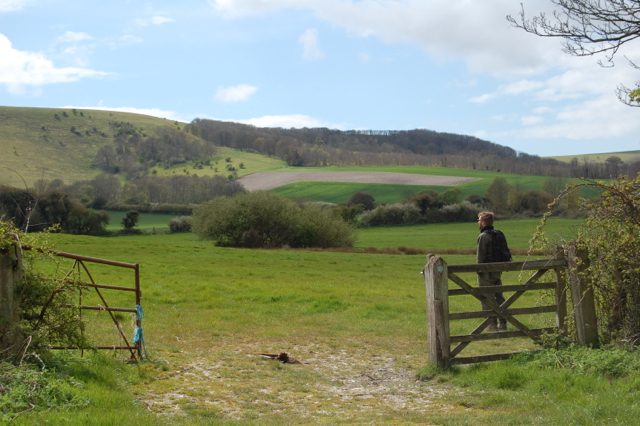 The dense clay soil of our garden changes to thin chalky grassland only a short walk up towards the Downs. As the soft clay was most easily eroded, these areas form the lowest points in the area and support different types of plants due to holding more water and nutrients. 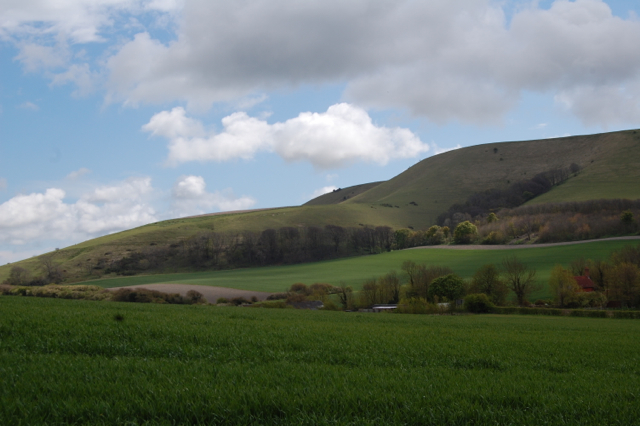 The old saying ‘as different as chalk and cheese’ comes from the distinction in areas like this between the thin, chalky soil of the Downs themselves, only suitable for rough grazing by sheep, and the dense clay which would support the lush pastureland suitable for cattle farming and therefore, cheese making. As different as chalk and clay, or cheese. The chalk of the Downs, laid down over some 20 million years, is made of a soft white limestone that is formed from the skeletons of long passed marine creatures, interspersed with bands of hard flint. It never ceases to amaze me how these hills that seem so solid and unchanging are made from the bodies of creatures that lived nearly a hundred million years ago. It is a daily reminder of inter-being and connectedness, how everything we see only is because something else was, how nothing and no one is alone or apart, how everything flows into one and we are all a part of each other. Above all it is a reminder that, in the scope of history, my own concerns are but small ones. The escarpment that shelters our house is one of our favourite places to walk and we spend many hours gazing at its beauty, picking herbs and dreaming. Walking up it you are rewarded for the steep climb with wonderful views of the surrounding area, mostly fields and small patches of woodland with reservoirs and waterways glinting in the distance. and at the top you are greeted by the sea, stretching away before you to the South. Even though the soil on chalk downland is thin and dry, it is still one of the richest habitats in Western Europe. It is characterised by its springy grass, kept short by grazing animals, with patches of scrub mostly made up of hawthorn, blackthorn and gorse. 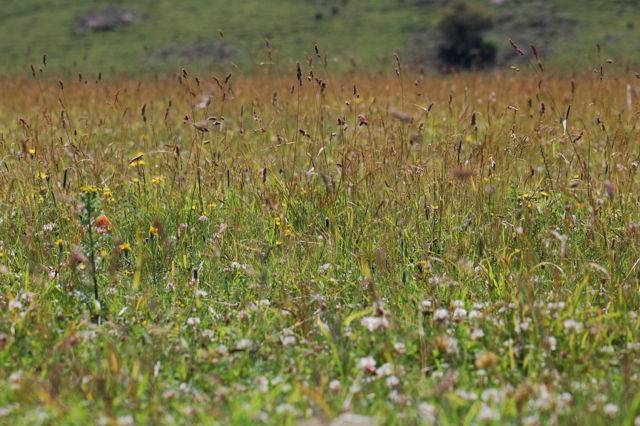 Many wildflowers, including rare orchids, that do not do well in other conditions, thrive here on the lime rich soils. 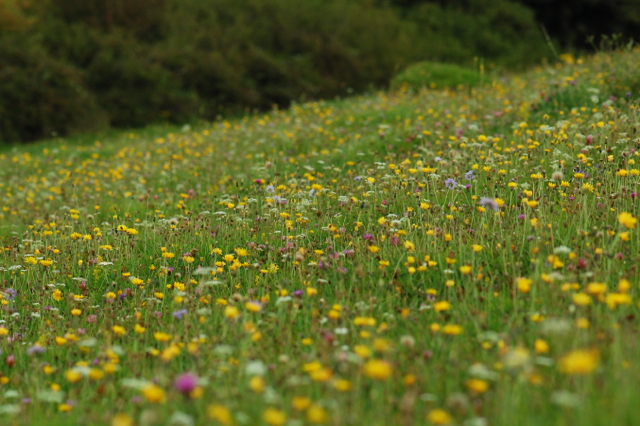 Poppies, cowslips, yarrow, scabious, round headed rampion, self heal, clover and bedstraw carpet the slopes at different times of year as well as a wonderful collection of native grasses. Many of these species are threatened which is why it is so important to conserve chalk grassland habitats. 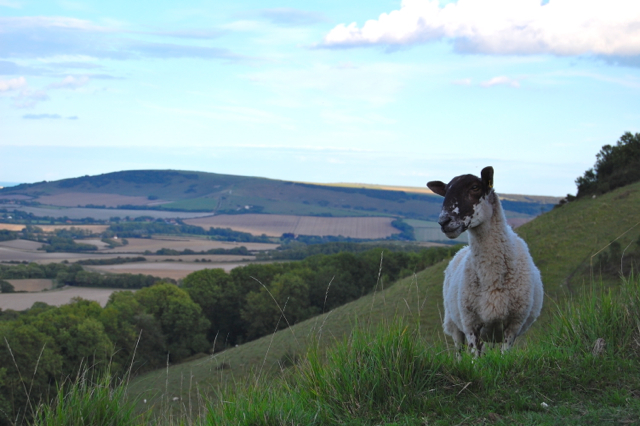 Much of the South Downs is now a national park and there are many conservation efforts underway which is heartening. My husband and I are both members of the Sussex Wildlife Trust, one of the 47 local Wildlife Trusts that cover much of the country. You can find out your local branch here. 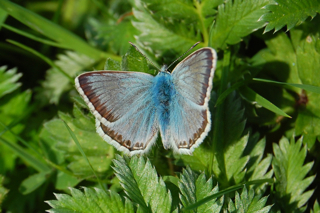 These flowers attract a number of rare butterflies and insects too like the beautiful chalkhill blues. 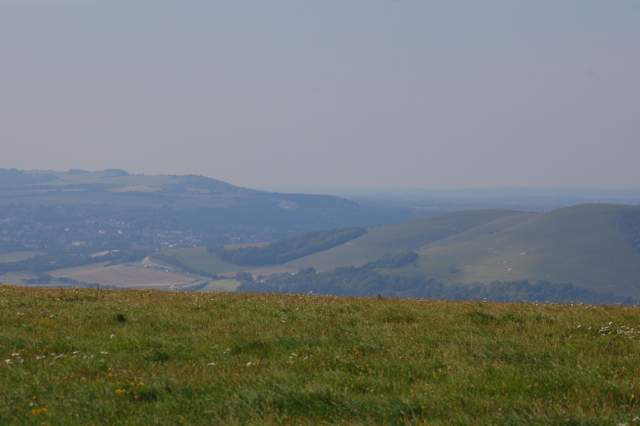 The history of the Downs is rich and fascinating and archeological evidence shows they have been inhabited for thousands of years. Once upon a time they were covered in forest but it is thought the majority of trees were cleared as much as 3,000 years ago. Flint mines, hill forts like the one pictured below and numerous burial mounds have utilised and altered the landscape long before the Romans came. Though I have always found the Downs to be breathtakingly beautiful and a wonderful place to wander, it took time to feel really connected to them. 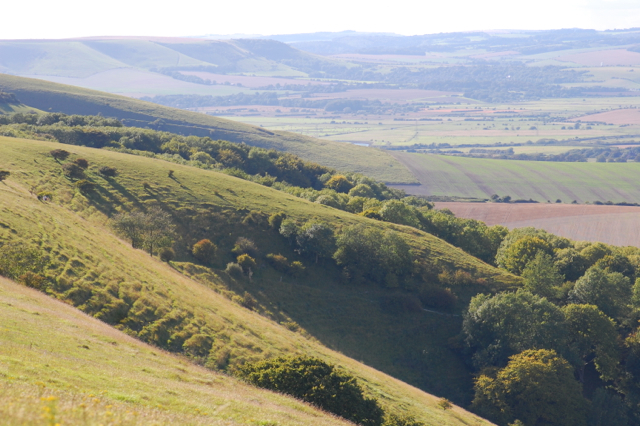 Being first and foremost a lover of woods and glades, the high chalk hills with their incessant, pummelling winds felt somehow too intense and I would always seek out the most wooded areas to walk in. Since moving to our current home however, I have come to see the very essence of Mother Earth in the sweeping lines and curves of the escarpment we view from our windows each day. Just like people, the land wears the forms of its history and narrative. 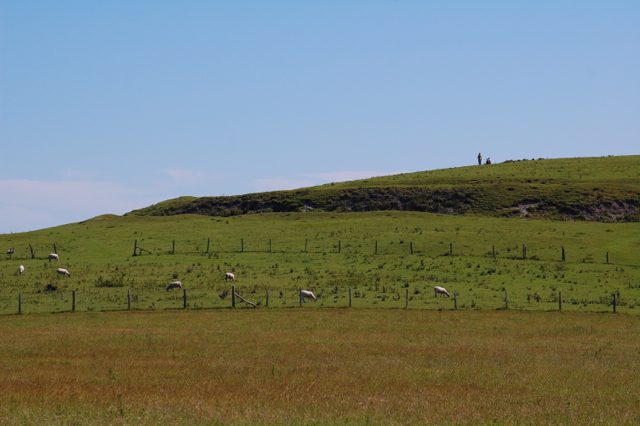 It has been shaped by life and death, by rock and by salt sea winds, by wildlife and farmed animals and by the hands of many humans. And it in turn has shaped our lives and our hearts in numerous ways, some of them too subtle to name. I am lucky I know! Thank you for sharing it. Happy Earth Day! Thank you Sonja, it’s so heart warming to know people are enjoying the posts. I love your posts. What a beautiful area you live in. Thank you! Happy Earth Day! Happy Earth Day to you too! Thank you for visiting. Thanks for letting us have a peek into your world. Beautiful! A lovely post for Earth Day. What a beautiful post to express your love for your piece of heaven and the earth! The love and respect for every aspect of where we live on this earth is a gift back. Your lovely vistas and vast rolling hills are treasures indeed. I so agree. Caring for and loving our own area is one of the greatest ways to reflect our feelings for the world. What a lovely and deeply insightful look in the area you live in. It’s so fascinating to think about the past that has shaped the place we live – I particularly like what you say “everything we see only is because something else was.” Quite profound to think about! Now I am even more excited to come and visit you and explore those beautiful “sweeping lines and curves” with the “sea-salt winds” blowing 🙂 Such beauty – and you have captured it perfectly in your words and photos. You are so fortunate to be living in such a beautiful place! We often remind ourselves never to take for granted how lucky we are! What a beautiful and interesting post, thank you Lucinda! And thanks for the chance to take part in the Earth Day Blogroll party – I have found some wonderful people to follow. Hi Leslie, yes that is my beloved husband! Not one of the kitties though, we only let them out the other direction onto the fields as you have to cross a road to stand in that spot. The chalk grassland is a special and rare habitat. I don’t think it exists in many places and about 80% is said to have gone in this country so it’s so important to take care of what we still have. Thank you Lucinda for this beautiful and interesting post. The area where you live Lucinda is so peaceful and beautiful, you are so fortunate to be living there. Really beautiful! Thanks for sharing your lovely thoughts and pictures! One day when out hiking on our ridge with my husband, he said he hoped we never got to the point where we took the mountains and forest here for granted. His words are true for much more than our ‘backyard’. Thanks for taking me along on this beautiful walk.